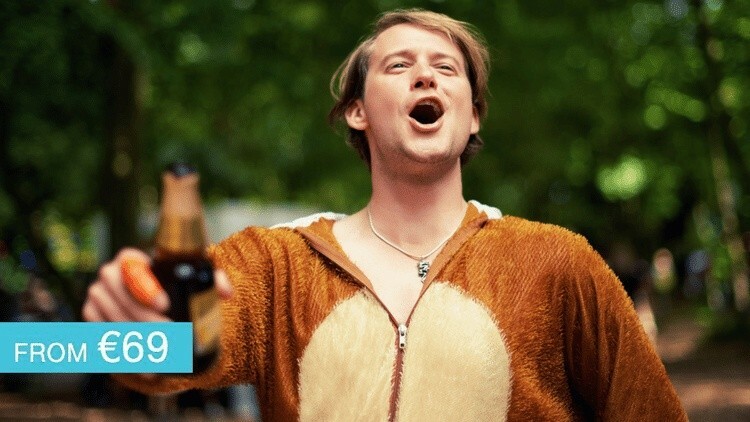 Catching everyone off guard, Derry is making huge waves in the Stag Party world. It has everything to be one of the country’s best stag party locations. 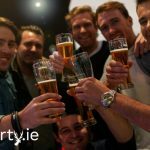 Fantastic stag party activities, a vibrant pub scene and a nightlife that will have you wishing you could stay longer. Firstly, on a Derry Stag Party weekend, we’ll have you set up in accommodation a short walk from all the top pubs and late night venues. So no long walk for a pint or back to the bed at the end of the night. SUP – Stand Up Paddling Boarding is an action packed activity that is sure to provide plenty of spills too. Foodie Cycle Tour – If you’re a keen Foodie then this activity will be right up your street. Dinner & Beer Tasting – A bit of soakage for the night ahead followed by a Beer Tasting. A great call for a stag party activity. Kayaking – Get your feet wet on the stag and take to the water with a bit of Kayaking on the Stag. Escape Room – A fantastic activity that will test you mentally, physically and possibly friendships as you try to escape a locked room by solving puzzles and clues. Will you even make it out in time for the pints? Mud Run – Get down, dirty and work up a sweat on a Mud Run with mates on the stag weekend. High Ropes & Zipline – Test your nerve and fears on an exhilarating High Ropes and Zipline course. Brilliant fun lads. Paintball – Always a hit with Stags, in so many ways. Paintball is always brilliant craic on the stag party weekend. GP Karting – Fuel your need for speed with an adrenaline packed afternoon of Karting. Mountain Biking – Mountain Biking is one for the thrill seekers out there. Race down hill picking up serious speed and take on jumps, obstacles and sharp turns. Bets on for who comes off first. Airsoft – Enjoy a few war games with a round of Airsoft. Who will you be targeting? Hovercraft – Hover over the ground or water and hit high speeds when you head on a Hovercraft session. Powerturn Buggies – Throw a high powered buggy into dirt corners in this high octane activity. Laser Clay Shooting – See if you’re the sharpshooter in the stag party group with some laser clay shooting. Laser Combat – Brilliant fun from start to finish lads as you aim to take their base and avoid being shot by a laser. When you’ve worked up a hunger and thirst lads. We’ll have some finger food and few shots waiting in the bar. And when you’re ready to hit the club. Your entry will be sorted and another round of shots will be waiting. Finally, if you need any more information on a Derry Stag Party contact us today on info@stagparty.ie or through the tabs below.